Revolutionary InstantChange™ technology embedded into WEBCON BPS provides unique advantages over traditional Business Process Management software. Focusing on more than just initial delivery, we made sure you can easily adapt once built applications, in response to ever-changing business needs. As a true Rapid Application Development platform, WEBCON BPS provides an effective and future-proof way to handle all your business processes – from supportive to mission critical. Digital transformation is a drag & drop away. WEBCON BPS provides a wide range of out-of-the-box features capable of addressing thousands of versatile business needs. 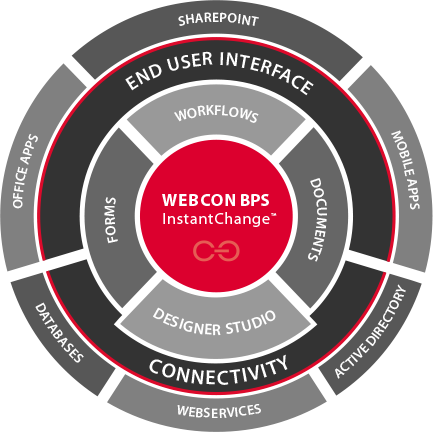 WEBCON BPS was designed to be your organization’s ultimate business application platform. It allows you to build workflow-based solutions that integrate easily with the already operating core systems (ERP, CRM, LoB). Benefits? One unified interface for your end-users. One skill set needed to maintain and deliver applications. One vendor or partner to support you. 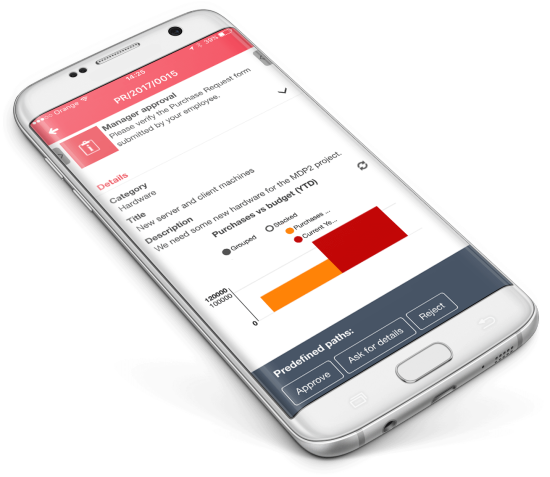 InstantChange™ technology entirely redefines the approach to application delivery and continuous business process improvement. Imagine you’re discussing requirements for a business application with stakeholders. After a few clicks, you turn your laptop around and voilà – it is ready! Welcome to the world of IT superheroes. Immediately implement changes based on feedback, new policies and evolving requirements. No deploying, no waiting – just instantly available results. InstantChange™ technology helps IT and business finally see eye to eye. 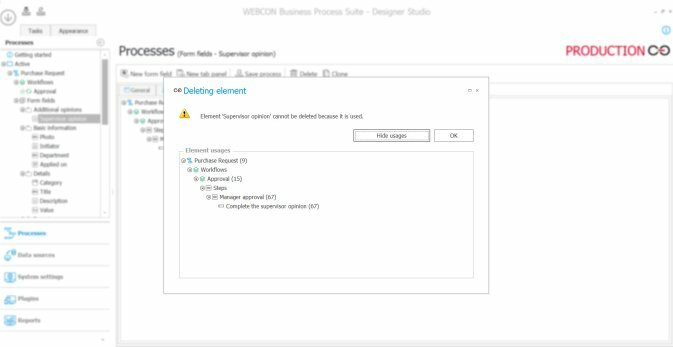 A powerful toolset of out-of-the-box features in WEBCON BPS make coding a thing of the past. No-code means freedom of continuous development, higher security of investment, and delivering more with less. But that’s not all. InstantChange™ technology takes developing business applications to a whole new level. It allows you to see the results of your work instantly, and adapt them according to feedback, without the risk of technological debt slowing you down. This is how truly iterative and agile application delivery becomes a reality. With a wide variety of ready-to-use WEBCON BPS components, you can deliver any application and handle any business scenario: smaller quick-wins as well as complex enterprise projects. 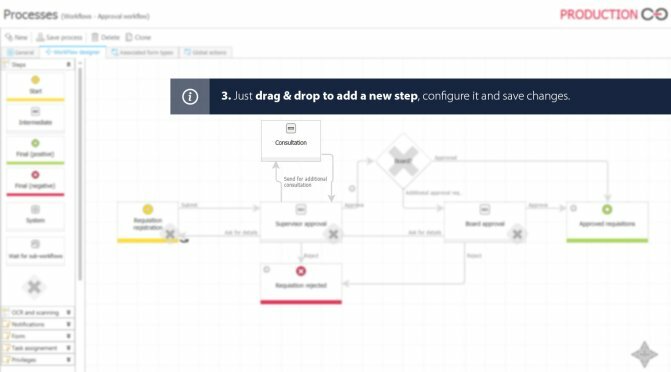 Drag&drop workflow designer allows creating any workflow you need without coding. No programing skills needed. 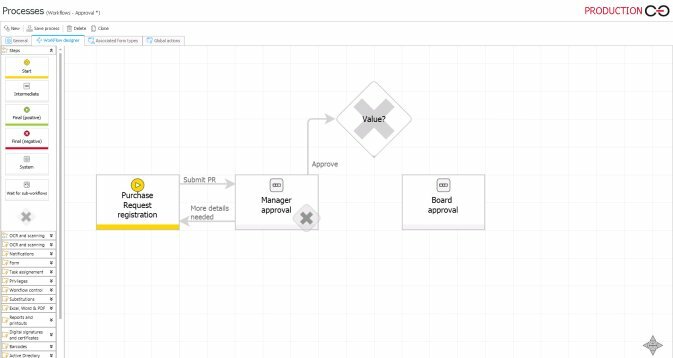 Build dynamic forms without coding, integrate them with external data and design their behavior. Access your form via web browser, mobile apps or Outlook. Define logic of your applications using advanced business rules editor. Reusability means high productivity and ease of maintenance. Start workflows based on external events. Leverage data from your ERP, CRM, SharePoint or any other third party system using webservices and direct database connectivity. 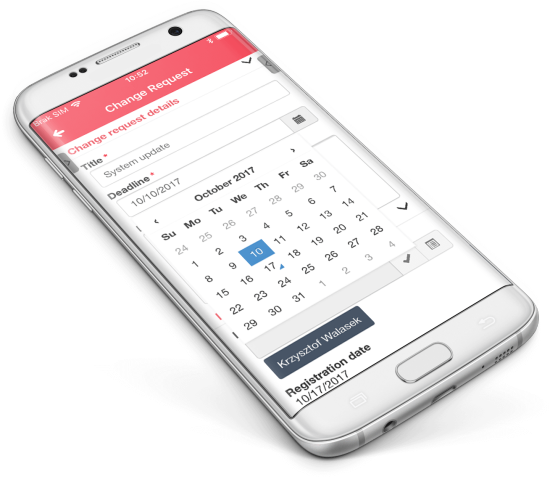 Deliver your business applications in a few weeks, or even days. Reduce the time and risk of software implementation projects by 70% and keep business happy. One of the biggest advantages of WEBCON BPS is the fact that it allows creating a simple business application within one afternoon. Meanwhile hardcoding a dedicated application for the same purpose would take weeks and consume considerable amount of financial resources. The business environment is so dynamic that most companies admit ongoing change management is their biggest challenge. 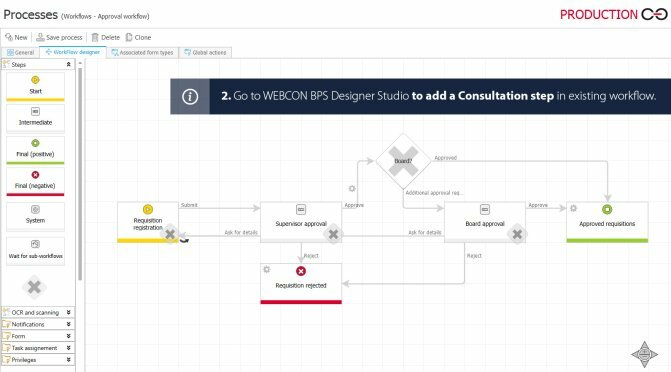 WEBCON BPS enables direct, yet controllable modifications ad-hoc in the production environment, as well as the classical, yet automated, DEV to TEST to PROD approach. 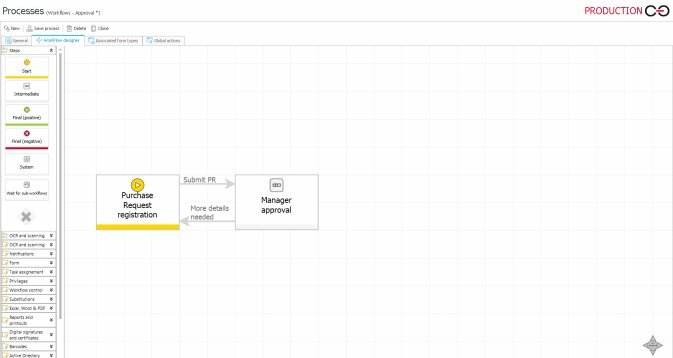 All changes are tracked and documentation updates are generated automatically. That’s how you can respond to ever-changing business needs while maintaining full control of your organization’s application portfolio. Enjoy great flexibility and standardization in change management with reusable actions, business rules, forms, and data models. Take advantage of smooth migration between the developer, test and production environments. Automatically document all changes in business applications according to best practice. Focus on the challenges instead of menial tasks.y. business decisions – all in one place, and with no technological debt. The ability to deliver more workflows based on a single BPM platform and a single interface facilitates and accelerates the implementation project. Another advantage is that the system enables effective use of the skills of the in-house IT department to create workflows on their own. IT departments need to both develop new applications and maintain existing ones. As your organization grows, so does your application portfolio, resulting in maintenance becoming critical in parallel to quick delivery. 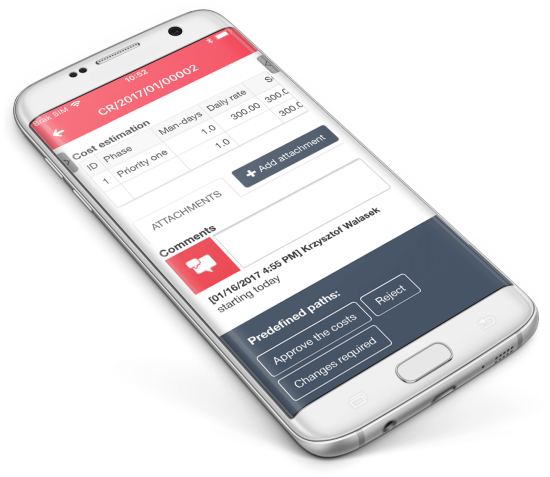 The platform is designed to minimize the effort and cost of maintenance. In WEBCON BPS you build applications by creating reusable actions, business rules, forms, and data models. Now you can easily introduce any tweaks and changes, whenever you need or want. The system provides neat error and event reporting, allowing to identify the root cause of any issue immediately. 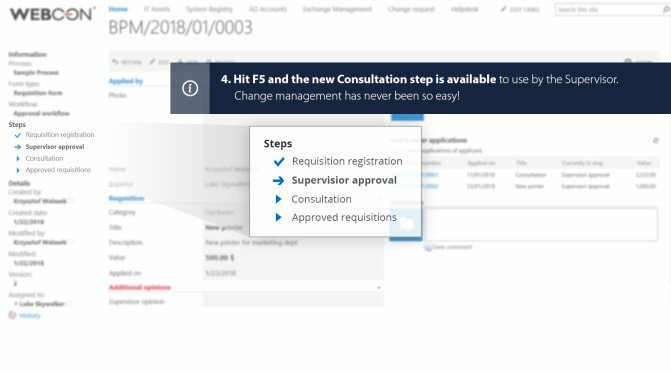 InstantChange™ technology allows applying fixes directly on the production environment without interfering with end users’ work. WEBCON BPS helps you reduce downtimes, while unleashing the potential of your IT team. This is what makes them superheroes. 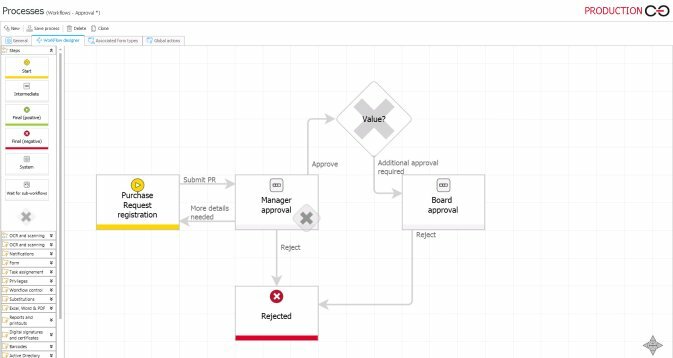 Modify your business application with a few clicks in response to the changing business environment. 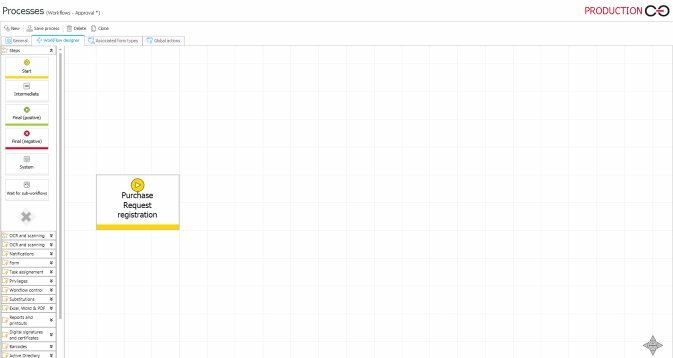 No deploying, no waiting, results available instantly. 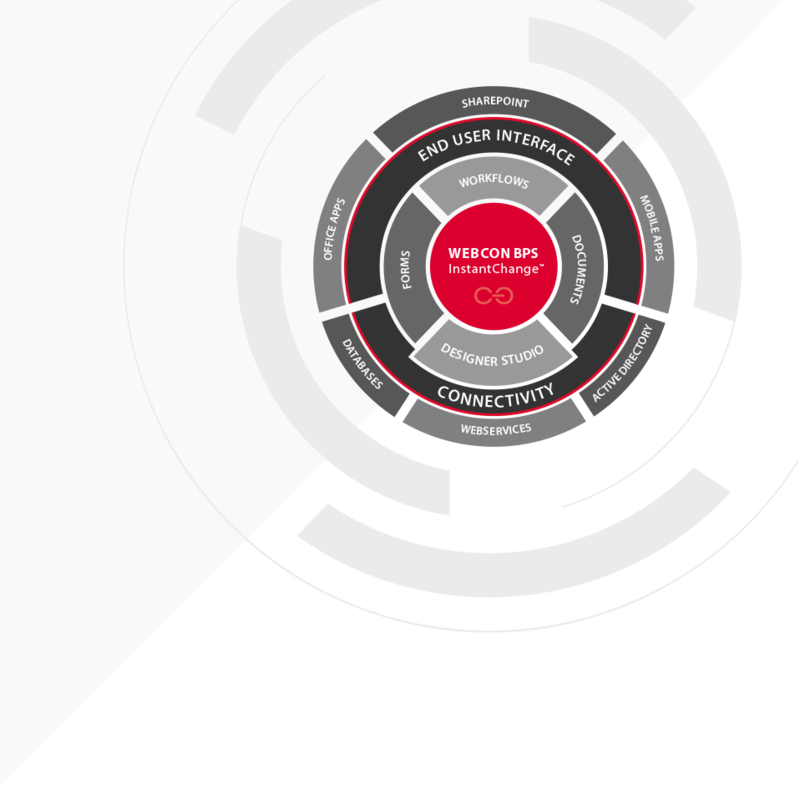 Enjoy a platform that grows along with your organization and enables creating solutions in a pace-layered application strategy. Seamlessly substitute your employees and effortlessly train new arrivals thanks to the platform’s low entry barrier and unification. Identify the root cause of any issue immediately and apply fixes even straight on the production environment. Never again choose between creating new applications and maintaining the older ones. Thanks to the ease of use and flexibility offered by WEBCON BPS we maintain the system at our own capacity in terms of the existing workflows and adding new functionalities. User adoption is the ultimate test that proves the usability of the applications you deliver. Self-explanatory forms, the look & feel of SharePoint, standardized design and unified user experience ensure great adoption rates. Spice up your solutions with out-of-the-box Outlook and Word Add-ins, combine with mobile apps, and you have your winning recipe that exceeds users’ expectations. WEBCON BPS is built on the standardization-over-customization principle, ensuring consistency across all business applications you deliver. It not only contributes to high productivity of your IT team, making their job much easier, but also results in quick adoption of each new application they build. As a result, 90% of end users ask for more. This is how you can make the digital revolution a bottom-up and most welcome transformation. Offer your users a lovable solution with a standardized SharePoint interface and intuitive architecture. 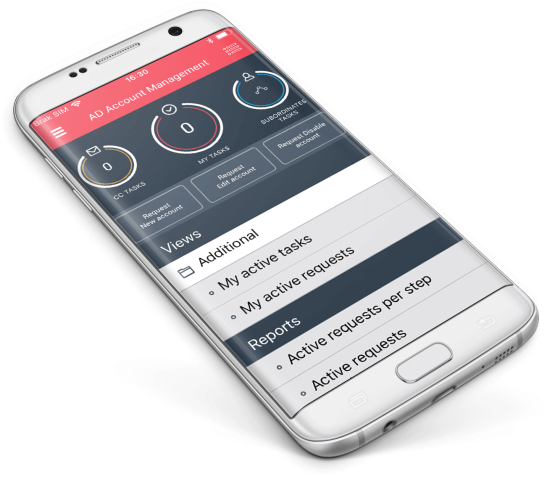 Access documents and business processes, accept tasks and start new processes anytime, anywhere via one-click away mobile apps that end users love for Android, iOS and Windows devices. 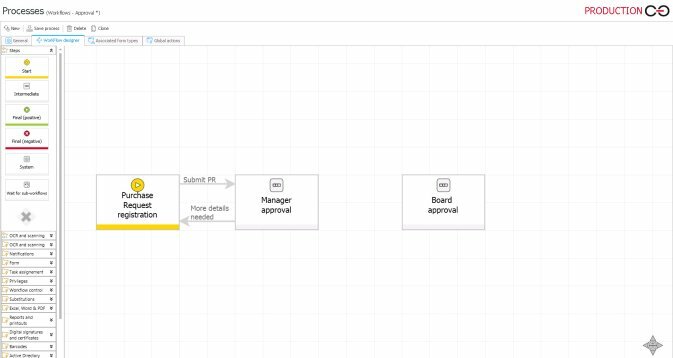 Streamline the entire document lifecycle, access any data in store and display the interface in any language, for genuine digital collaboration. Leverage Outlook, Excel and Word add-ins to deliver the ultimate end-user experience. Offer your users intuitive personal productivity tools to make their work more effective and become their IT superhero. After a few months of glitch-free functioning of the system in our organization, employees started coming to the IT department with ideas and proposals of new workflows.